While perusing through a used book store in Minnesota a couple months ago, I came across the Coyote Cafe cookbook on the clearance shelf for $0.99. I thought to myself, this couldn't possible be the recipes of THE Coyote Cafe (a well-known, up-scale Santa Fe restaurant that has been one of my very favorites since Restaurant Week in 2012). 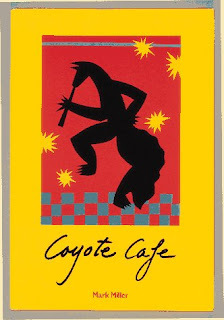 Sure enough, it was indeed chef Mark Miller's book of the Coyote Cafe! What a great find!